Oh I do love a good board game at Christmas time …and this is a great board game. Board games can be played time and time again and often involve everyone which makes them great family bonding experiences as well as excellent value for what they cost. 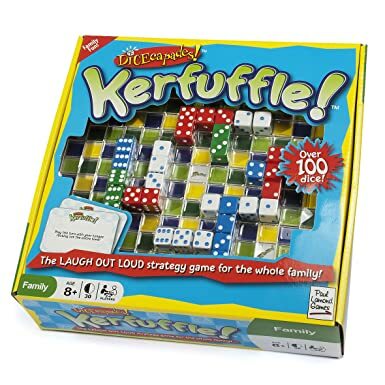 Kerfuffle is for over 8’s though a bright 6 year old would get it and its a combination between as funny/ luck game and a strategy game. It has over 100 dice (very handy in our house) and the aim of the game is to get rid of the 25 you are allotted. 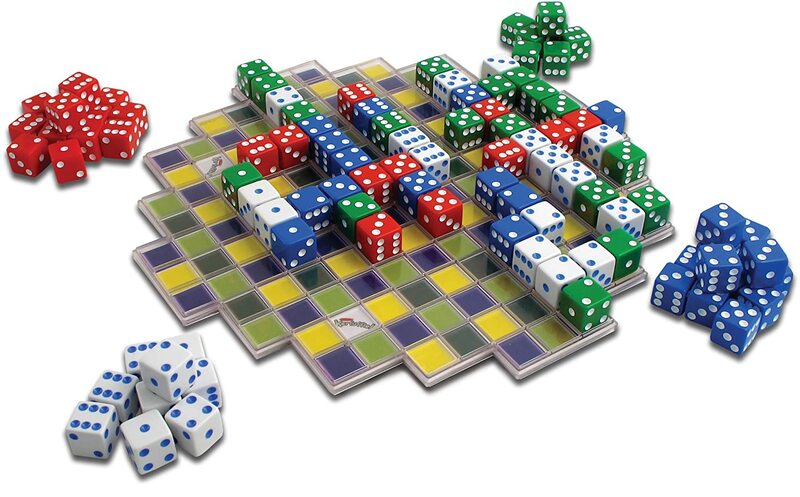 The aim of the game is to get rid of your dice by rolling them and placing sets on the game board in matching lines or straight runs. Sounds easy right…ah well that’s where the funny bit come in. You have to draw a card at the start of your go and have to follow the instructions on it. This might just mean rolling a three of a kind to start your turn, but it could be playing the entire turn with your tongue sticking out. Fabulous. It’s super silly but great fun. We all love it.